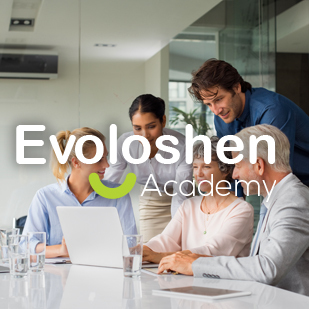 Evoloshen is an international corporate training company that provides unique outcome-driven methodologies and frameworks to help organizations facilitate positive change and lead more effectively. 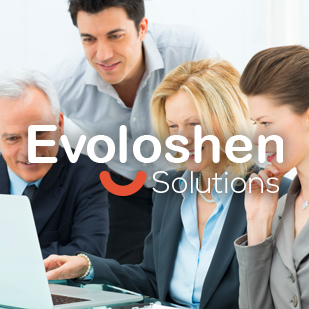 Organized through three key areas, Evoloshen provides a customized approach to applied Cultural Engagement, making it easy for our customers to work with Employee Engagement as a sound business strategy. 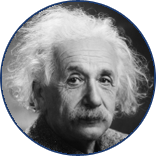 Evoloshen collaborates with top leadership experts, neuroscientists, and large organizations around the world to deliver cutting-edge research. To date, this research has impacted thousands employees and inspired hundreds of companies to take a different approach to transforming performance, mitigating bias, and rethinking learning and organizational change. 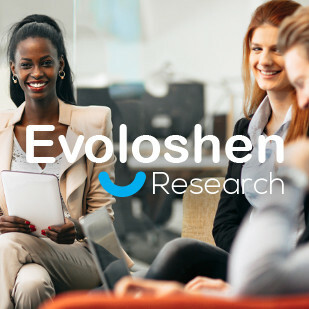 Our Research Board highlights breakthroughs in Employee Engagement, Neuroscience and Organizational Behaviour and produces peer-reviewed research and Whitepapers that are also shared by Evoloshen Research. Professor of business administration in the Negotiation, Organizations & Markets Unit at Harvard Business School. Our Research Board consists of top researchers, academics and experts specializing in various aspects of engagement and business. We love to stay on top of the latest research and want to share the great work and insights with our business community. Here you will be able to gain access to various topics that will give you great information and knowledge that will empower you to understand and work with engagement even more. Consider this your go-to hub for the latest research on engagement. This series of interviews, with leaders who are spearheading change in the business and academic world in the various areas of engagement, will give you new and in-depth viewpoints into the latest research and live case studies from companies that are showcasing a new way of doing business. These interviews are inspiring and insightful and have key learnings in each one. Sign up here to gain access to one of the free interviews now. It’s time to ENGAGE! Learn how business is evolving. You ll gain insights from 30 progressive companies that are revolutionizing the way we do business leading to a rise in productivity, profits and employee engagement. Discover the proven formula to how YOUR company can make a positive impact on the planet by using business as a force for good…getting results that will make all your stake holders happy. The international bestselling book, ENGAGE!, is your step-by-step guide to engaging your employees to create a lasting legacy. You will experience behind the scenes case studies with some of the most amazing companies such as TOMS, Virgin, Zappos, PUMA, Southwest, Whole Foods, HCL Technologies and many others. You will discover tools to identify new trends and implement proactive strategies to maintain a viable business in the ever-evolving marketplace. And you will learn how using employee engagement is a sound strategy for increasing productivity and revenues. Business as usual is anything but usual. Evoloshen Academy is bringing joy to workplace! We train and empower leaders and employees to step into their best versions of themselves to shift the organization. We help bridge to a new business mindset. This is based on years of researching Amazing Companies that are showing the way to more sustainable business models using culture and focusing not only on profits, but also on the people and the planet as well. Our programs are purposely designed to impact both on an individual basis as well as organizationally. As a preferred provider, you can also earn continuing education credits with SHRM and HRCI through this training. 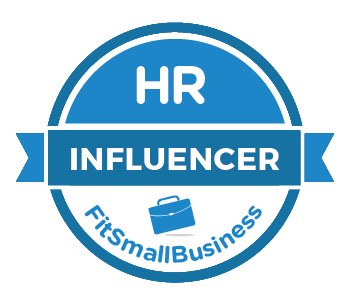 Evoloshen Academy is recognized by SHRM to offer Professional Development Credits (PDCs) for SHRM-CP or SHRM-SCP. This certification training has been approved for 35 PDCs. Help your company flourish from the inside out and become a highly impactful, value adding leader with certification as an ICES™, an International Cultural Engagement Specialist™! Effectively managing employee engagement is critical to your team success; our ICES™ Certification Program will give you all the tools and strategies necessary to boost your company’s employee engagement and improve productivity and profits as a result. Neuroscience Engagement & Trust (NET) Leadership training transforms and empowers leaders to significantly improve working relationships, optimize productivity in teams, and build a high performance culture. Our unique NET Leadership training was developed from years of executive coaching and mentoring to help individuals, teams and organizations understand key human drivers and behaviors, how to use trust as a business building strategy, and how to vastly improve collaboration, creativity and connection to consistently influence a positive outcome. We have a broad expertise with our partners who can help to support executives and employees through our coaching services. Whether it is for Executive Coaching or Mentoring, Conversational Intelligence, Career Development, Out Placement, Life Design, or Personal Development, our coaches help to bring out the best in people through their training, experience, and frameworks. Contact us to let us know your needs and we’ll match you with an amazing coach for an initial discovery session! As we find more and more companies working strategically with culture, it is often delegated to HR—who already had their plate full with so many tasks. Since our Executive Partners at Evoloshen have a broad level of experience and expertise, especially around cultural development and engagement, we can work together with you on to develop and get the cultural strategies into place and implemented in your organization. Rather than hiring a permanent new position, bring a Chief Cultural Officer on board on a part time basis for as long as you need it and we’ll accelerate the process for you! MindPT is a Fresh New Approach to Personal Change. After years of applying cutting edge technology to the most compelling findings in neuroscience and positive psychology, MindPT is proud to offer you the solution to the challenge of personal change…a transformational app designed for the busily on-the-go person! Becoming a purpose-driven company is the way to future success. Having a unifying purpose statement is the foundation to building sustainable engagement for the long haul. We have a proven methodology that will pull the bigger purpose from your organization. Contact Us if you want a proven process to create a purpose from within your organization. To help create amazing companies that believe in a new way of doing business, prioritizing the people and the planet alongside profits. We do this through innovative training, workshops, and programs around building sustainable employee engagement. We’re with bestselling author and speaker Simon Sinek on this one – people don’t really care what you do, they care about why you do it. According to Gallup, 85% of the global workforce is disengaged at work. This to us is a tragedy—and we want to change that! Bringing Joy to the Workplace. It’s important to have strong values leading a team and a company, just as it is for an individual. We live by four values we have collectively voted for internally. These values are reflected across the board, leading us behind decisions we make with our teams, our partners, and our customers. We use our passion and energy to create happiness and we love what we do! We are energized and inspire others. Our purpose is to bring joy to the workplace and it’s contagious! We know that being passionate and purpose driven is the best way to reach your full potential. We believe that honesty, transparency, and respect are the foundation to any business relationship. We are open-minded and strive to come from a place of service at all times. We believe in bringing high value in all that we do. Our attitude and motivation comes from Making It Happen! We are ambitious, creative, innovative, and believe in delivering the WOW factor in all that we do. We dare to step out of the box and our excitement is contagious, all while delivering high value and excellence. We believe strongly in contributing to making our world a better place. We understand how collaborating and supporting each other is for the greater good of all. We believe that giving is having more and that we can use business as a force for good. That’s why all of our business activities have a positive impact connected to them. We genuinely care for our colleagues and customers—they are our extended family and friends! And we truly want the best for everyone at all times! Bringing Joy to the workplace with a new business model using innovation mixed in with corporate training and cultural hacking is our formula for success! While many look at global problems like economic growth, workforce effectiveness, employee turnover, chronic skills gaps and focus their time and energy fixing the problem, we take a different approach. How? We work with our client companies to build new engaging models that make today’s problematic models obsolete, and at the heart of our approach is “cultural hacking.” Thus, “culture hacking” is the art of involving people and education in smart effective ways to rapidly “recode” and advance culture, altering in the process the behaviors of everyday individuals to make them adopt smarter practices that elevate their lives. We believe that we are all on a journey…a journey of continuous growth and development. So we are constantly evolving as individuals, teams, and organizations. Evoloshen means “evolving spirit” because we touch the hearts and souls of people and organizations and help in reaching your full potential. Pamella is our Chief Relationship Officer in the US and is known as The Connector and the Founder of Mavens Connections. She is responsible for high-level Joint Ventures and partnerships, customer relationships, and is devoted to connecting professionals and business with revolutionary resources and solutions that transform people and cultures. 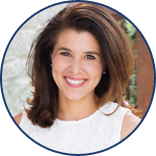 Pamella’s mission is to help others Consciously Create Success in all areas of life. Brett started his career as a tradesperson in the Hydro Electricity Generation industry based in New Zealand. After studying in contract law and business management his career path took him to ABB, a large global electrical engineering technology company, where he spent 18 years spanning many industry sectors in various roles, from Contracts Manager, Engineering Manager, Maintenance Manager and more recently, General Manager of performance based maintenance agreements, working in many countries with many diverse cultures. Brett has a passion for supporting people to learn, grow and develop. His strength is in leadership development and culture change, he has a ton of enthusiasm for improvement which people find contagious. His deep passion for cultural work and employee engagement comes from hands on experience of transforming businesses through the employees.He has the happy knack of being able to get the best out of people in the most difficult of circumstances and being able to turn an operation around through motivating others. These days Brett is often called the “Transformation Guru” because of his proven track record. Pearl is our Chief Innovation Officer & Founder of Benchmark Maven. She started her career in various hands-on leadership roles and has become a multicultural and multilingual expert with 17+ years at IBM, and in the Fortune 500 world for over 25 years. Pearl is passionate in solving her client’s top-of-the-mind business issues. 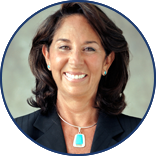 She coaches and works effectively with C-level executives as well as all personnel levels addressing their strategic, tactical, operational and cultural issues and risks. Pearl successfully led and coached high-performing business teams combining data, tools, ancient arts and practices, with innovative science and technologies. Pearl holds an MBA with a focus in MIS and Finance, is a Certified Conversational Intelligence® (C-IQ) Coach, Speaker, Yoga Instructor, Qigong Practice Leader, and Reiki Master. Pearl practices mindful living and is also a Vipassana meditator and volunteer server. She currently lives in Massachusetts, has one adult daughter, and enjoys creating worthwhile memories with her family, friends and relatives in the United States and Asia. Ines is a Personal Development Coach whose mission is to inspire, encourage and teach people to rewire themselves to be able to achieve their full life and working potential. With more than 15 years of experience in diverse roles such as Executive Manager, Chief Manager and IT Business Consultant she has developed a strong sense of good leadership in practice. 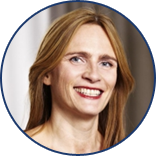 Ines has expanded her knowledge and became an Associate Certified Coach credited through International Coach Federation after graduating as Erickson Certified Professional Coach. 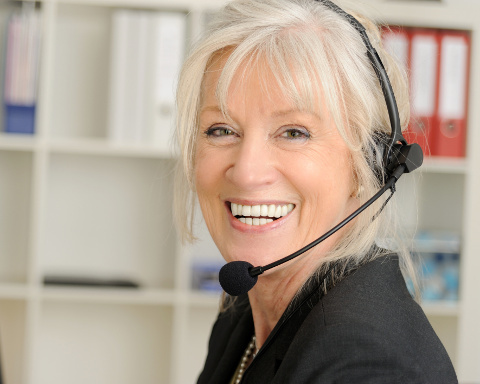 She is also becoming a Conversational Intelligence® Enhanced Practitioner. Ines has always had a huge passion for helping others to grow and deeply enjoys being able to do that through her work. When Ines isn’t coaching, consulting, or learning some new skills, she likes to travel, read, knit and run. Vivien is a Coach and Consultant specialising in Change and Transformation. Her focus in organisations is in developing their people, culture and building high-trust organisations. She works with leaders and teams to create healthy work environments and improve employee engagement, communication, well-being and employee retention. 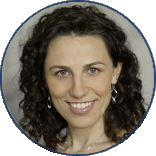 Vivien is a Co-Active Coach (CPCC, ACC) and Certified C-IQ™ Coach. Based in London, UK, Vivien considers herself a global citizen. She has worked and lived in more than 20 countries and travelled to over 60 of them! She started her career as an HR business consultant working on large global ERP and business transformation projects, and has experience within multi-nationals across a range of industries and sectors. In her spare time she loves dancing, theatre, yoga and travelling. Karin has a background in various HR and Marketing roles. She has over 20 years of experience from developing people and organizations in several different companies. Karin is a ”people passion person”. She believes it’s all about relations. Karin coaches and works effectively with executives as well as all personnel levels addressing their operational, symmetrical, relational and cultural issues. With a broad experience from training, facilitating and coaching individuals/teams, she inspires everyone to grow and develop. 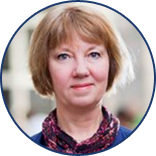 Karin is a Certified Conversational Intelligence® (C-IQ) Coach, a certified coach within ICF and has a BSc in HRD from Stockholm University. She has long experience in Leadership Development, Coaching, Feedback, Personal Development etc. She lives in Stockholm with two daughters (her most important influencers and trainers!) and her husband (her Guitar Hero…). She enjoys spending time with her family and her wonderful friends. Karin is a Funk and Soul Queen who loves singing as well as listening to various kinds of music. 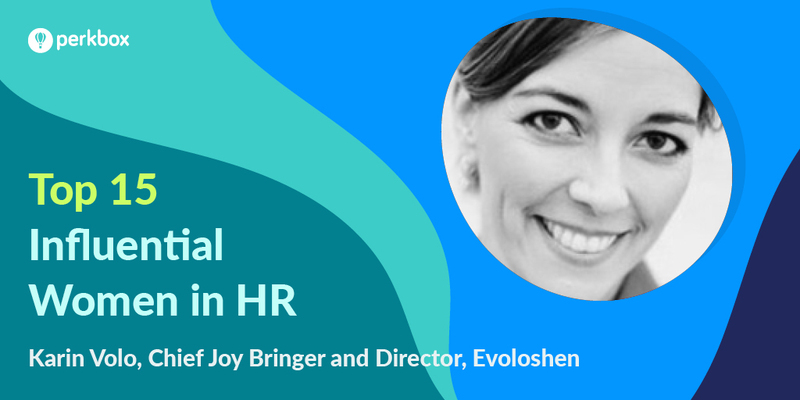 With her extensive experience from managing positions in Nordic and International organizations – working with Talent Acquisition/Management, Recruitment, Outplacement and Coaching the past 15 years – she has great insight in what effect Employee Engagement has on reaching ones Full Potential. She has delivered and developed services such as Executive Search, RPO (Recruitment Process Outsourcing) Staffing, Student Employer Branding, Coaching and Career Development in industries such as IT/Telecom, Security/Cloud, Media and FMCG. She has also experience in Sales and Business Development, Customer Relationship and Service Management. Her purpose is to support companies and individuals to reach their Full Potential. She is greatly looking forward having contact with you! 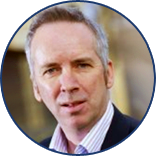 David is passionate about leadership development, talent and engagement and brings 25 years of experience of senior leadership coaching and strategic advisory roles to his delivery of global leadership programs. Building on his own learning as chief speechwriter for HSBC, David has coached and advised leadership teams for many global organizations. Speaking several languages, and having lived and worked in numerous countries, David’s multicultural experience informs all his executive coaching, as well as his bestselling book Bamboo Strong: Cultural Intelligence Secrets to Succeed in the New Global Economy with Foreword by Dr. Marshall Goldsmith. David’s unique Bamboo Strong™ Global Leadership Programs have helped leaders leverage cultural, generational, social and personal diversity in their organizations and workplaces, across borders and in new markets. In 2017, David became a Licensed Practitioner of Intercultural Disc™, an ICF accredited leadership development framework to leverage personal and cultural differences. The author of thirteen books, David Clive Price received his M.A. and Ph.D. from University of Cambridge and was a British Academy Travel Fellow at the European University in Florence. 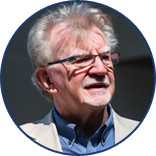 He gives visiting lectures on Global Leadership Development for the University of Greenwich Business School. Jen is our resident Happiness Engineer and takes care of a myriad of duties, including affiliate relations, customer service and keeping the team organized. In her spare time, Jen loves to read, watch movies and spend time with her husband and daughter. Steve is our technical wizard in the background keeping everything technical running smoothly. Steve is the COO of Dominate, with 13 years experience running online businesses and helping entrepreneurs run and grow theirs. During his free time, Steve enjoys tennis, music and caring for his dog Lancelot. Alexa is the Program Manager for our 20 Club where we focus on empowering Millenniums. She is also a social media maven and intern who loves creating great social media content and using her skills with graphic design, editing, photography and videos projects. She’s also got a talent with art and loves event planning. ITO is an international company specialized in diagnostics, selection and development of individuals, teams and organisations. We aim at understanding human needs, passions and talents. We create significant development for employees and organisations. ITO is our Exclusive Partner in the Eastern European region, responsible for delivering our training in Serbia, Croatia, Slovenia, Bosnia and Herzegovina, Macedonia, Montenegro and Kosovo. As a business that also focuses on employee growth and happiness, we inspire our team to be creative, productive, innovative, and most importantly – to feel really valued. We’re a fun group and doing good in the world. We always look for purpose driven and results oriented people who want to have a positive impact on others. Some of our amazing clients that are impacting the workplace and the world! We have some strategic partnerships with companies that are positively changing the workplace as well. We can recommend them to complement your engagement work. You can contact us at support@evoloshen.com or send us an email using the form below. 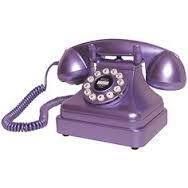 Need to speak to someone today? I have won numerous awards for my teaching, including the HBS Faculty Award by Harvard Business School’s MBA Class of 2015, and for my research, including the 2013 Cummings Scholarly Achievement Award, from the Academy of Management Organizational Behavior Division. In 2015, I was chosen by Poets & Quants to be among their “40 under 40”, a listing of the world’s best business school professors under the age of 40. Karin Volo (Chief Joy Bringer / CEO), an expert in engagement, career, personal and organizational development, is known as the Chief Joy Bringer. She is a co-author of the international best selling book, Engage! With 15+ years experience working with international Fortune 500 companies on two continents, she has insights on business building, cultural transformation, and high performance. Karin works with cultural development, employee engagement, leadership mentoring, professional inspirational speaking and writing. She is also a Certified C-IQ™ Coach. She uses her professional skills and draws from her personal experiences to help individuals and companies thrive. She is the author of the Bringing Joy children’s series, a regular blogger on Huffington Post, a faculty member at the Institute for Inspired Organizational Cultures, and an expert judge on employee engagement in both the UK and the US. Karin’s passion is helping people better their lives through sharing all she has learned on her own journey and her laugh is quite contagious. Her purpose is bringing joy to the workplace. Sergio Volo (Chief Thriving Expert / COO) is a business leader, entrepreneur, author, and the Visionary Transformation Facilitator specializing in corporate culture and leadership. 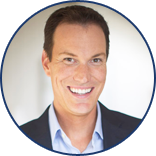 He is co-author of international bestselling Engage! Your Step By Step Guide To Creating A Workplace That You, Your Co-Workers, and Your Customers Love, a book specializing in Employee Engagement. He is a co-founder of Evoloshen, a corporate training company that helps transform organizations through people engagement and cultural development. With over twenty years working with international Fortune 500 companies in business development, HR systems, talent management, strategic workforce planning, executive search, executive mentoring, and cultural development, he is an expert at seeing the opportunities and maximizing potential through people engagement. His clients say he is passionate, determined, committed, and innovative. His passion is commitment to success and creating new ways of doing business to sustain productivity and profitability. His natural talent is to see the path and make things happen! Plus he is a ninja in the kitchen.